HOW Design Live in Boston may be over (we will be back later this week with our three recaps from the event), but we have just started here at 36 Point. 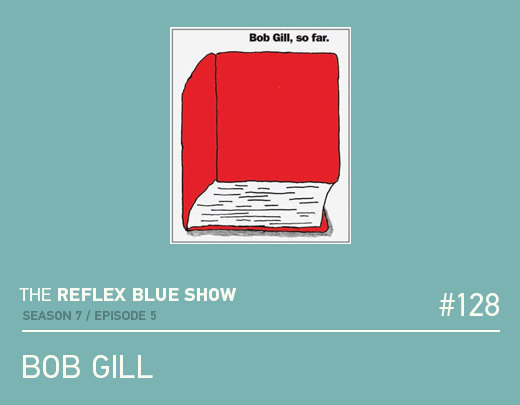 In our first (of five) interviews we recorded (and will release over the next two months), we have Bob Gill. We speak of his process; his books Graphic Design Made Difficult, Forget All the Rules You Ever Learned About Graphic Design: Including the Ones in This Book, and Bob Gil, So Far; and his involvement in co-founding Pentagram among a few other things. Starting around the 41 minute mark though is what I assume will be a life-changing opportunity: learn from him in his New York studio for a week – and this is coming up fast. Limited to six people, and starting on June 9th. Listen to the 2 or 3 minute segment for details, and then contact Bob Gill to sign up.